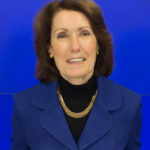 Jean M. Buckley is president and chief executive officer of Future Business Leaders of America-Phi Beta Lambda, Inc. (FBLA-PBL), which is celebrating seventy-two years of preparing students for careers in business and business-related fields. During her tenure, she has increased the number of business partners, expanded competitive event offerings with a focus on technology, and grown member benefits for all divisions. Prior to joining FBLA-PBL, Jean had a distinguished twenty-year career with Junior Achievement Inc., where she held several field office and national positions. As the senior vice president of education at the national headquarters, she was responsible for the development and implementation of K–12 business and economics curricula, as well as leading all educational outreach efforts.